With its inception at the end of the nineteenth century as a means of consolidation and reorganization, mergers and acquisitions (M&A) have since become quasi-institutionalized as one of the primary strategic options for organizations, as they seek to secure their position in an ever more competitive and globalizing market place. Despite the optimism surrounding M&A as strategic moves, research on post-merger company performance suggests that most firms engaging in M&A activity do not achieve the sought-after performance targets, either immediately or in the years following the deal. What is it that drives M&A activity when research results do not support the performance expectations of these undertakings? Alternatively, have M&A scholars got it all wrong in the way that M&A performance is measured? Is the topic too complex, enduring, and multifaceted to study? The Handbook argues that the field of M&A is in need of a re-rooting: past research needs to be critically reviewed, and fundamental assumptions revisited. A key issue preventing efforts in the practice and study of M&A from achieving dynamic syntheses has been the disciplinary gulf separating strategy, finance, and human relations schools. The Handbook aims to bridge the hitherto separate disciplines engaged in the study and practice of M&A to provide more meaningful results. 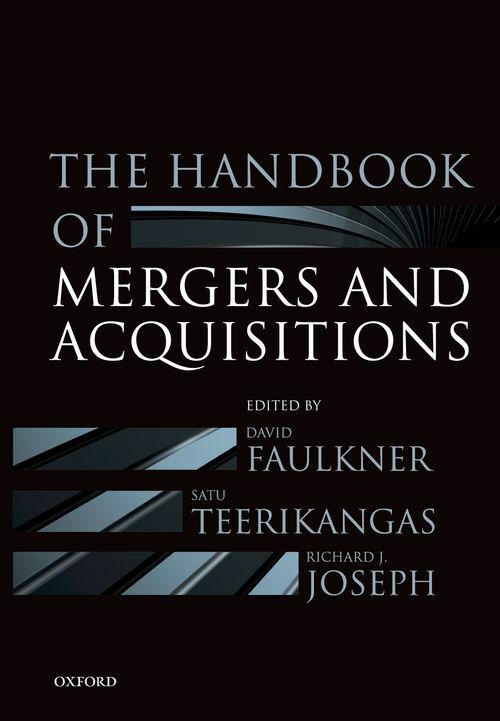 Toward this end, the Handbook brings together a set of prominent and emerging scholars and practitioners engaged in the study of M&A to provide thought-provoking, state of the art overviews of M&A through four specific 'lenses' - strategic, financial, socio-cultural, and sectorial approaches. By summarizing key findings in current research and exploring ways in which the differing approaches could and should be 'synthesized', it aims to highlight the key issues facing M&A practitioners and academics at the dawn of the third millennium. 5. Unbundling Acquisition Performance: How Do they Perform and How Can This Be Measured?